While much has been written by other authors about how to become a more vital congregation our experience suggests that there are several key practices that when combined will produce some level of results in nearly any size congregation. This isn’t a recipe or a checklist because the leadership challenge is that each congregation is different and each mission field is unique. Great leadership is the ability to contextualize. Rather, it’s about how clergy and lay leaders focus their time and energies. When these 6 things are prioritized we see results. A vital congregation has to have strong leaders who create a culture and passion to reach new people. 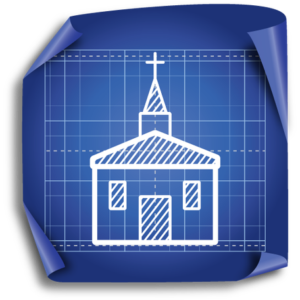 While congregations need to think strategically, technical solutions will only carry them so far. There has to be a passion to reach the persons who have been left behind, unreached and on the margins. In the New Testament we read that Jesus had persons who followed him and learned from him. However, it wasn’t until he turned them outward—to go ahead of him to pronounce that the Kingdom had arrived, to heal and bless, to bring others into a life-changing relationship—that the shift happened. He moved them from being disciples to being apostles. A vital church is constantly figuring out who will be the next person to reach. Instead of caring for the 30 that already attend how do we reach the 300 who need us in our mission field? Without that kind of culture, a church won’t get momentum, nor will people find compelling reasons to support that church. What it Takes to Revitalize the Mainline, a manifesto for the church in our time. Revitalization in a Pastor’s Own Words, a podcast where a young pastor shares his story of personal, inner revitalization and how he led his congregation to new heights. Churches that are vital have figured how to speak to their mission field. They know who they are trying to reach and know the tools for reaching that population. Many congregations now are figuring out how to do this. Instead of being judgmental about the current realities (i.e. “Why do the schools schedule practices and other activities on Sunday mornings?”), vital churches find creative ways to use their surrounding culture as a means to attract. Blaming the culture around us because it has changed often becomes an excuse to give up and die. This doesn’t mean we don’t have standards as people of faith. We aren’t just going to be completely molded by the culture. Rather, it means we are willing to understand and use cultural doorways to help us reach out and be heard. Being narrow and dogmatic doesn’t help us be relevant. Yet, we don’t have to throw out the theological standards of our traditions. We just need to approach the culture in a way so that we don’t make the cultural issues the problem. We allow the culture to inform how we make tactical decisions. Our theology gives us our large guiding principles; tactics allow us to speak to the culture around us. We can be mission-driven, but we need hands-on projects to engage folks in a culturally sensitive way. Vital congregations are committed to reaching the children of their communities and the people who care for them. When we walk away from kids or buy into the myth that there are no children in church anymore or settle into the myth that these community kids are not “our kids,” we become a dying church. We can minister to the children in our communities in a multitude of ways. When the traditional Sunday School movement began, we clearly had an understanding of the church’s role in educating and nurturing kids. It wasn’t all about our own biological children. We then entered into a season when we shifted into caring for our own kids, and then we aged out and stopped biologically having our own kids. Vital congregations quickly determine and allocate their resources to at least one ministry to children. This is not devaluing the seniors in our congregations, but rather a return to generational balance. Here are a couple of examples: One of the churches in our Conference worked hard to change its dysfunctional internal culture of decline. As the church’s thinking shifted and it no longer viewed itself as a dying church it figured that its niche would be to reach people over the age of 55. As soon as the church became healthy enough and passionate about reaching new people, not only did older adults come, they also started drawing young families. Another one of our churches built a new building and committed the most square feet to children’s spaces. That church now has several hundred children. Every vital congregation has clergy who are committed to developing lay leadership and equipping the saints for ministry. Clergy must understand that developing strong lay leaders is a primary task of their ministry. Growing the core lay leadership team and being committed to leaving a legacy of leadership strength is essential. Vital congregations develop exceptional teams where lay leaders understand their roles, but they build those teams in order to help every person be all that God has gifted them to be. We want all of our laity to be free to be all that God has called them to be. We can’t use the warm-body approach to nominating members for service and we can’t afford to put people in areas where they can’t thrive. Bishop Bruce Ough is the resident bishop of the Dakotas–Minnesota Area of The United Methodist Church, where he has served since Sept. 1, 2012. Bishop Ough is the author, with Scott J. Jones, of The Future of the United Methodist Church: 7 Vision Pathways. Susan Nienaber embraces an unwavering dedication to the health, vitality and mission of congregations and of the leaders and institutions that support them. She serves as District Superintendent in the Minnesota Conference of the United Methodist Church, and occasionally consults with congregations on issues of conflict, dialogue, crisis, personnel, professional misconduct, leadership, and interpersonal dynamics.